I’ll skip the pedantry of pointing out that Republicans and Democrats no longer exist in the future depicted in Star Trek. Instead, let’s get right to the heart of the matter – James T. Kirk is the captain of a starship on a mission of exploration for a socialist government, and Star Trek itself is a rosy-eyed depiction of a socialist utopia, crafted by and populated with humanists. The very essence of Star Trek should be anathema to the modern Republican. For the woefully uninitiated, here’s bit of a primer. Star Trek takes place in the 23rd – 24th centuries, following the adventures of men, women, various aliens, and even a few androids, operating on behalf of Starfleet, the exploratory/defensive wing of a massive, centralized bureaucracy called the United Federation of Planets. Member planets in the UFP are in many ways autonomous, but are nonetheless bound by the dictates of the central authority of the Federation. Society is classless, and the economy operates without the exchange of money. 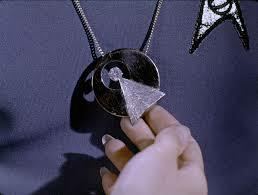 Star Trek depicts a world in which values closely aligned with progressive humanism have triumphed. The Vulcan philosophy of “infinite diversity in infinite combinations” is celebrated, and collectivist phrases like “the needs of the many outweigh the needs of the few” carry the weight of moral compunction. The motivating force behind the mission(s) of the starship(s) Enterprise is a search for knowledge simply for sake of knowledge – and at great personal risk and material cost. Star Trek was an attempt to say that humanity will reach maturity and wisdom on the day that it begins not just to tolerate, but take a special delight in differences in ideas and differences in life forms… If we cannot learn to actually enjoy those small differences, to take a positive delight in those small differences between our own kind, here on this planet, then we do not deserve to go out into space and meet the diversity that is almost certainly out there. One can be forgiven for thinking these are values individuals inclined toward conservatism – at least as expressed by the modern GOP – don’t really appreciate. People who think members of the LGBT community do not deserve to share the same rights as everyone else are miles away from delighting in “those small differences”. They are expressing the sort of regressive attitude that will forever keep the most plausible, most reachable aspects of the future depicted in Star Trek forever grounded in the world of science-fiction. Likewise, Republican rhetoric is often firmly rooted in a celebration of individual self-interest and anti-establishment sentiments that are contrary to the submission of individual needs to the collective good. Nor can it be said that people who cut funding to organizations like NASA and the National Science Foundation come off as particularly big fans of the quest for knowledge. Hell, even free market capitalism, approached with near religious reverence by the modern GOP, is portrayed as an artifact of humanity’s childish past in the universe of Star Trek. Its primary practitioners are the Ferengi, hideous aliens who are variously treated as predatory, lascivious villains and greedy, bumbling clowns. The Koch brothers, Donald Trumps, Mitt Romneys and Herman Cains of the Star Trek universe are greeted with scorn and distrust. Their motivations are viewed as sordid and puerile. But for the modern Republican, capitalism and the quest for profit is the glue holding the moral architecture of the universe together. So why does Ted Cruz think James T. Kirk, the equivalent of a NASA mission commander working for the government of the Netherlands, is a Republican? To begin with, there seems to be a natural human tendency to paint our heroes and role-models in the subjective palette of our individual values. Cruz is projecting his ideals on the charming space-rogue that is Captain Kirk. According to Cruz, Kirk is “working class” and “a passionate fighter for justice”. What exactly “working class” means in a classless society is, and shall remain, mysterious. But Cruz is dead-on when he describes Kirk as a passionate fighter for justice. He’s just wrong in thinking that characteristic makes him a Republican. There are passionate crusaders for justice on both sides of the aisle – they just have a few differences of opinion concerning what qualifies as “justice”. I have a strong suspicion that Kirk might be a little more sympathetic to the liberal/progressive perspective on justice than the conservative one. In the interview Cruz says that “readers of science fiction are interested and attracted to the future. And politics is a battle for framing that future.” The future depicted in Star Trek is one in which the pillars of modern Republican ideology – Christian theology, free market capitalism, nationalism, traditionalism – have been cast aside in favor of the ideals espoused by progressive humanists. Christianity is properly viewed as a collection of myths – a comfort blanket for humanity’s infancy. Economic and monetary interests have been entirely subordinated to the will of the state and the society it serves. Multiculturalism is the rule of the day and the shackles of tradition have been broken away and replaced by context-sensitive humanistic ethics. Let me reiterate: there’s no reason the conservatively inclined shouldn’t like Star Trek. The world depicted in Mad Max is a morose and violent hellscape. But those movies – the latest entry in particular – are great entertainment. I just wouldn’t want to live in that world. Based purely on observations of their behavior and stated political beliefs, I suspect something along those lines captures a person like Ted Cruz’s appreciation of Star Trek. It’s fine from a distance, but he sure as hell wouldn’t want to live there. In fact, his political record is that of a man who works diligently to prevent it from ever happening. Wise words from Star Trek creator Gene Roddenberry. I grew up with Star Trek. I have vague memories of my father taking my brother and I to see Star Trek II: The Wrath of Khan at a theater. It must have been part of some kind of commemorative re-release, since the film came out in 1982 – three years before I was born. Later, he took us to see Star Trek VI: The Undiscovered Country, which remains my favorite Star Trek film to date (for which Nimoy helped develop the story). Throughout elementary school and into middle-school, my brother and I watched early afternoon reruns of the Star Trek: Original Series. Despite its many flaws and more misguided moves (the entirety of Star Trek: Voyager, for instance) Star Trek is my favorite science fiction franchise, period. It is absolutely brimming with a refreshing eagerness to explore new frontiers, to transgress the boundaries of the unknown. Especially in its earliest iterations, Star Trek was often a source of insightful and thought provoking social commentary and small but invaluable lessons about humanist values. At the very center of all this was Star Trek’s Holy Trinity: James T. Kirk, Leornard McCoy, and – of course – Mr. Spock. The relationship between these characters evolved as the series progressed, especially as the franchise expanded into cinemas in the late ’70s, throughout the 1980s, and into a fantastic denouement with 1991’s The Undiscovered Country. These were fictional characters, but their influence on my personal worldview was entirely real. In particular, they informed my ideas about the value of friendship and the importance of loyalty. 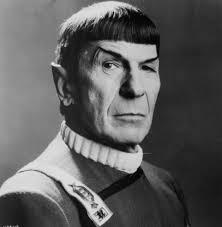 Leonard Nimoy’s iconic portrayal of Spock was central to that. So, though Leonard Nimoy was – to me – a complete stranger, I do feel a sense of loss at the news of his passing. His portrayal of Spock helped shape the early development of some of my most strongly held values: curiosity, skepticism, critical thought, friendship, and loyalty. He will be missed. The closing scene from The Undiscovered Country. Nimoy’s line as Spock really makes the scene.